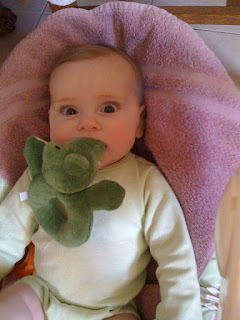 Although we are not having great success with solids, Matilda likes gnawing on her alligator. Adorable! Love the blog, Kristin. I'm inspired to do one for Kieran!